Welcome to the emerging nutritional world of ADISOY. Adisoy has its roots established in 2003 in the form of a small manufacturing unit of Soya Milk & Tofu in district Sangrur, Punjab. Varinder Singh Bhatti the founder of Adiosy dreams of building an empire to manufacture soya products. 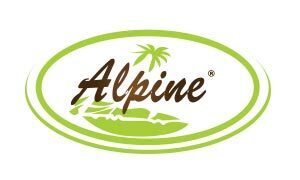 It comes true with shifting of its base to Adisoy Foods & Beverages Private Limited (an ISO 9001:2008, GMP & HACCP certified company) in 2013 in district Ludhiana, near Delhi Ludhiana state highway, 30km west of Ludhiana towards Malerkotla in state Punjab of India. We feel proud that we are one of the leading processed soy foods manufacturer of India. Adisoy brings its unique brands under the mother brand of Adisoy for your healthy future. Adisoy Food & Beverages Pvt. Ltd. Products, Punjab State manufacture nicely Vacuum pack (130gm / 150gm) best quality Tofu (Soy Paneer) having shelf life up to Twenty one days if stored in vacuum pack under proper refrigeration of 06 - 08 Degree Centigrade till its complete consumption. Tofu can be very well used as a substitute or normal or Cow / Buffalo milk paneer. We also manufacturing the Soya Nuts which is mainly added as snacks. We also manufacture Flavoured sterilized Soymilk (200ML Corked Glass Bottled) in Five popular 1) Strawberry 2) Mango 3) Butter scotch 4) Elaichi 5) Chocolate. Shelf life of our sterilized Soymilk (200ML Corked Glass Bottled) is beyond Three Calendar Months at ambient room temperature. We have obtained Testing & Certification for our above mentioned Processed Soy Food Products from FDA, Govt. of Punjab. As per Food & Drug Administration (FDA), the certification for Tofu applies to Flavoured Soymilk also as Tofu is obtained by coagulating the Soymilk only. We are the only providers of Tofu & Flavoured Soymilk manufactured out of Organic Soybeans. We feel proud & also don't hesitate to claim that Adisoy Food & Beverages Pvt. Ltd. products is the best ‘Tofu’ Manufacturer not only of Punjab but of entire North india. We are also confident about better quality of our ‘Flavoured Soymilk’ than ‘local Flavoured Soymilk’ products available at Punjab or any place in North India. Both Soymilk & Tofu are Cholesterol & Lactose free having best nutritional & medicinal values. Both are very rich in Class-I proteins & Minerals like Calcium, Iron than any other similar type of food. Fitsip is the most trusted and popular brand of sweetened flavoured Soya Milk. We are extremely confident of our premium quality Soy milk available in Plain and four popular flavours i.e. Cardamom, Butterscotch, Strawberry and Mango. Milsoy brand is available in Pasteurized Plain Soya milk and sweetened flavoured in 300ml pouch packing in five flavours. Our most admired brand TOFOOD which gains credibility for its premium quality. TOFOOD is the Leader brand present in market in both as classic and spicy tofu. YOBITE is available in both plain and spicy tofu having its unique quality. Gaining popularity. Launched recently. We believe passionately in good quality food manufacturing and are positive about world would be a better place if everyone consume a healthy diet. Adisoy gains credibility and trust not only in Punjab & Haryana but also in north India. Each day we try harder, get better and learn. Adisoy has vast experience in manufacturing soya based products and has aggressive growth plans to evolve as the market leader in soya foods space in India. Healthy product innovation and brand building is the key of future growth strategy of the company. We have a robust infrastructure equipped with the advanced machineries and equipments. We use innovative techniques of production and also make constant efforts to produce our products as per the prescribed quality norms. We have our ISO accredited Testing and Research & Development department at a laboratory in Ludhiana the ‘Manchester of Punjab’ city of Punjab state in North India. Quality is the foremost & integral aspect of our organization. Our products like Plain or natural Soy milk, Flavored Soy Milk, Plain tofu and spicy tofu, Fresh pack Tofu & Vacuum Packed Tofu pass through various stringent quality tests so as to ensure product quality prior to its reaching in hands of our valued customers. We Sterilize Plain or natural Soy milk for their extended shelf life beyond three calendar months. So our Soy milk can be easily stored without refrigeration at ambient room temperature.We have also developed innovative manufacturing process procedure techniques for our Vacuum packed Tofu thereby successfully achieving its shelf life up to One calendar month when stored un-opened in vacuum pack under normal refrigeration of 7-10 Degree Centigrade. Adisoy Food & Beverages Pvt. 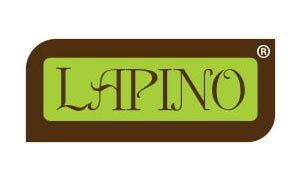 Ltd. products are HACCP, ISO 9001:2008 Certified. Welcome to the emerging nutritional world of ADISOY. Adisoy has its roots established in 2003 in the form of a small manufacturing unit of Soya Milk & Tofu in district Sangrur, Punjab. Varinder Singh Bhatti the founder of Adiosy dreams of building an empire to manufacture soya products. It comes true with shifting of its base to Adisoy Foods & Beverages Private Limited (an ISO 9001:2008, GMP & HACCP certified company ) in 2013 in district Ludhiana, near Delhi Ludhiana state highway, 30km west of Ludhiana towards Malerkotla in state Punjab of India. We feel proud that we are one of the leading processed soy foods manufacturer of India. 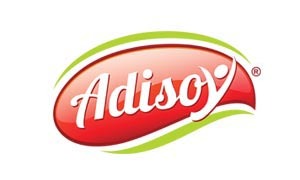 Adisoy brings its unique brands under the mother brand of Adisoy for your healthy future.